Thank you to everyone for making such a great effort to attend parent/teacher meetings. 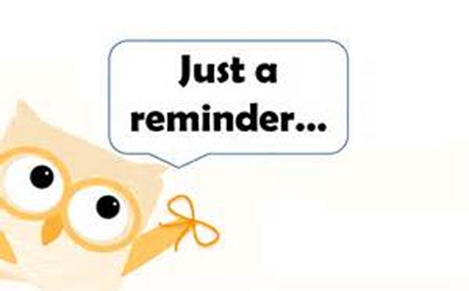 Meetings will conclude tomorrow with the remainder of Rang 3 and Rang 5. We hope that you have found them useful. Please send any comments/ suggestions/feedback that you might have for next year by return email. 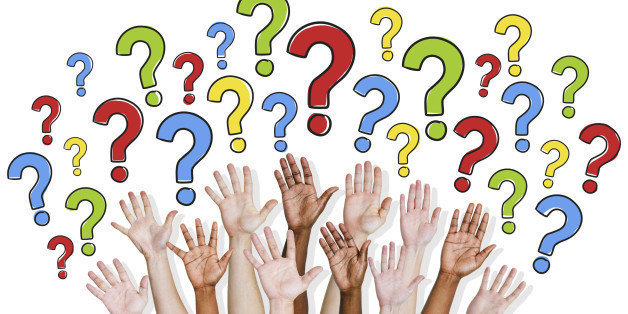 We really do value this opportunity to sit down with you and talk about your child’s experience here in RMDS, so your responses will be considered in making arrangements for future meetings. Please remember to lock all bikes properly! It is important that the bike lock is put through the wheel and also through the bars of the bike rack to be effective!!! Please check for lost property at the gate in the morning. There is a good collection at the moment! All items left at the weekend will be donated to charity. The RMDS Ethos Review Survey is up and running. Thanks to all those who have already responded. To those of you that haven’t, could we ask you to please take the time to complete the Survey over the next week? This is a great opportunity for the school community to have their say on our Ethos so your participation is crucial and valued. Please check your emails for the link to the survey! 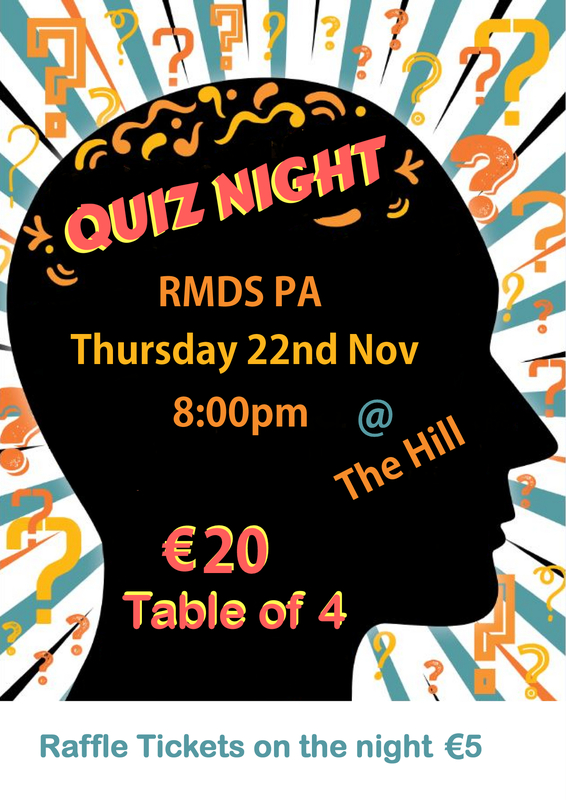 Table Quiz Tonight. . . Looking forward to it! Best of luck to all teams competing for class prizes and bragging rights tonight! Kick off 8pm @ The Hill. 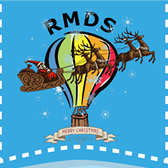 Many thanks to everyone who has volunteered to help sell Christmas Trees in December to raise funds for RMDS. 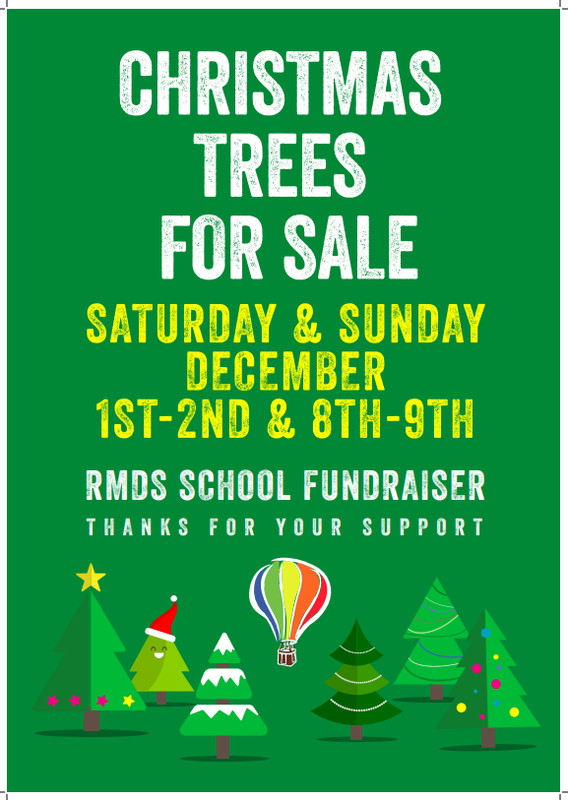 There will be a great selection of trees, so buy your tree at RMDS this year and tell your friends!!! Here are a few ideas for how you can help. . .